No one in Florida can claim to be ignorant of the consequences of drinking and driving. With some of the strongest laws in the US, Florida has made an unequivocal move to protect the innocent in these circumstances. However, independently navigating access to their protections can be arduous and onerous. Working with a reputable Fort Lauderdale drunk driver injury lawyer can change the outcome of a drunk driving accident from terribly painful to merely a distant memory. Yeboah Law Group, P.A. is here to put our skills and experience to work for you in obtaining justice when you or a loved one was injured due to a drunk driver. Due to the high number of drunk driving accidents in Florida, the state has made significant mandates to strongly dissuade and heavily penalize anyone who operates a vehicle under the influence of alcohol.  From compulsory blood alcohol testing after any serious accident to felony DUI indictments for drivers who repeatedly disrespect these laws, Florida lawmakers have worked hard to impose significant penalties on the drivers, particularly underage drivers, in these entirely avoidable accidents. All these services are available to victims; however, accessing them and being accepted into the programs can be burdensome, particularly if you or a family member is still coping with the traumatic aftermath of a drunk driving accident. A Miami-Dade drunk driving injury attorney will work to make sure you receive all the services and benefits you are entitled to, from the state and from any insurance companies involved. Along with harsh penalties for drunk drivers themselves, Florida has also been at the forefront of the nation in regards to holding anyone who sells or serves alcoholics or underage drinkers accountable if a drunk driving accident results. Beyond broadening the scope of culpability, Florida law also allows for payments of compensatory as well as punitive financial damages. Where compensatory damages aim to effectively undo any damage after an accident, punitive damages aim to punish the drunk driver and deter other drivers from taking similar risks. While we commonly only imagine automobile drivers when we picture drunk or impaired driving, truck drivers and motorcycle operators are also equally liable and likely to meet with a dangerous collision resulting in injuries to others. Because alcohol is a systemic depressant, the impaired driver or operator tends to be musculo-skeletally relaxed at the time of impact, often reducing the severity of their injuries. The drivers and passengers of the vehicles they hit have no such “protection” and suffer more critical injuries. After a drunk driving accident, the victim is eligible for a variety of services and compensations, provided filings and requests are made within the stated time. While you recover, it helps to have a professional and empathetic Fort Lauderdale drunk driving accident lawyer out working to see your interests are served. Contact us at Yeboah Law Group for a free in-depth consultation of your drunk driving injury claim. 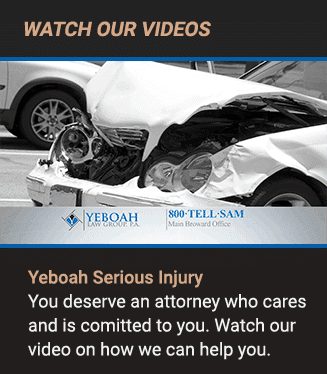 Call Yeboah Law Group now at (800) TELL-SAM for a no-cost consultation, or complete our contact form.